‘The City is lacking in oyster bars, it’s that simple,’ chef Marco Pierre White proclaims at the top of his new menu at Wheeler’s Oyster Bar & Grill Room. He’s up front with the motive for his takeover of the institution – great oysters and great steak. What more could the City set need? The latest re-vamp of the iconic brand (established 1856 and once frequented by Walt Disney, Lucian Freud and Francis Bacon, sure enough) has created some serious buzz since officially opening in March 2015, with fans and critics keen to see, as always, what the chef who holds three Michelin stars would turn his knives to next. On arrival at the long gold bar, set to the front of the Threadneedles Hotel, I spot two buinesswomen all but kicking off their Louboutins as they unwind, slurping oysters and champagne. 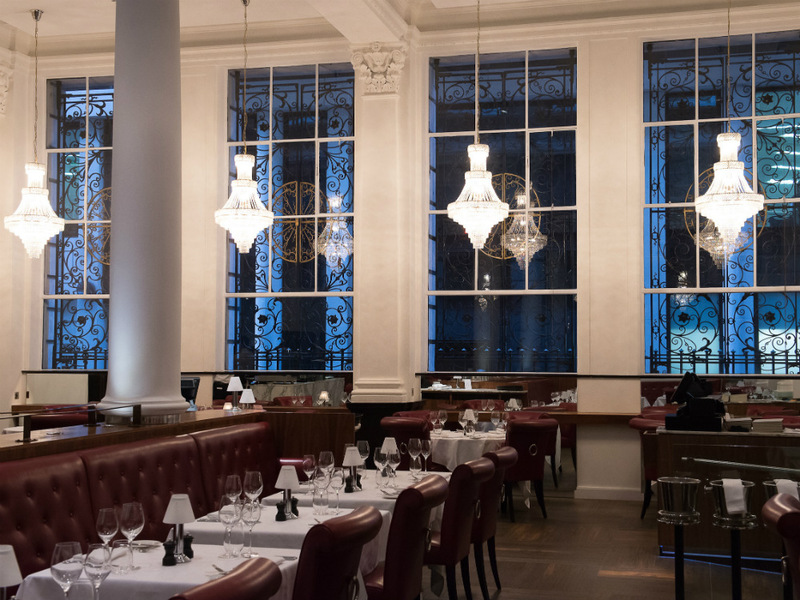 Through to the dining room – all airy high ceilings and large iron barred windows thanks to its previous life as a Victorian banking hall – and the décor switches from glam metallics, to glossy red-booth bistro. It’s Marco-tastic, with black and white portraits of the celebrity chef whipping his hair, jousting with carving knives and, in one shot, being strangled by foodie frenemie Gordon Ramsay, dominating one wall. The menu, written by Pierre White and executed by head chef Stephen Smith, is seemingly simple, but with some effective twists. Starters are indulgent but accessible -try the foie gras and duck egg served on toasted brioche, or mozzarella pesto salad. 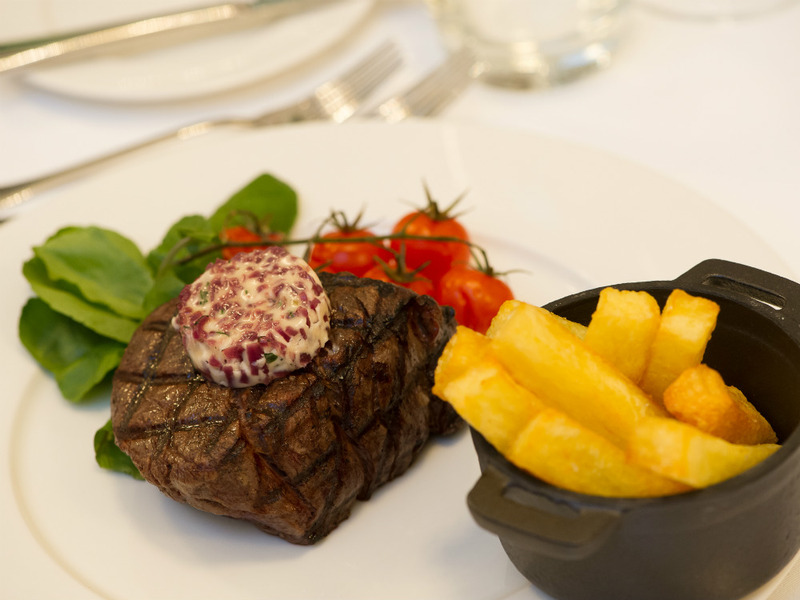 It’s a case of land or sea for mains with dishes like the signature Wheeler’s fish pie and the coq and shrimp curry with fresh mango, ginger and buttered rice, sit beside a range of classic steaks, served with triple cooked chips and grilled tomatoes. We chose the Cambridge burnt cream for dessert – an English take on a crème brûlée, served with sable biscuits. Slick enough for the glam city crowd but warm enough to not intimidate those who aren’t in suits, Wheeler’s is a great spot to impress clients over dinner, or gossip with friends over after work oysters. Marco Pierre White Wheeler’s of St James’ Oyster Bar & Grill Room, Threadneedles Hotel, 5 Threadneedle Street, London EC2. Tel: 020-7657 8088.